Above all, this is the most crucial, and the biggest reason you’re requesting a custom mobility device. If it’s to go along a flight of interior stairs, the design must fit the exact shape; otherwise, the lift won’t operate to its fullest potential. Or, if the lift is to be outdoors, specify this. Any exterior stair lift must be constructed to handle year-round exposure to rain, snow, and UV rays. As a result, the final product will feature a weatherproof and waterproof design. How much will this stair lift need to carry? If it’s for a public place, opt for a heavy-lifting model. For those that don’t know, these systems support anywhere from 500 to 600 pounds, and are wide enough to accommodate a range of body types. For at-home varieties, on the other hand, a compact system might better suit your usage. 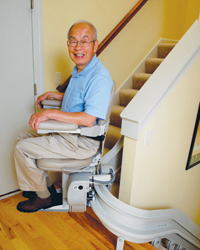 These models, such as the Indy Pinnacle, have a smaller frame, fold up closer to the wall, and carry up to 350 pounds. A stair lift shouldn’t create an obstruction. As a result, particularly for homes with narrow staircases, width is absolutely key. A design needs to fold up close enough to the wall that, when the stair lift’s not in use, others can go up and down the stairs with ease – no climbing over or maneuvering to the side. In line with point number one, be alert to the degree your stair lift needs to curve, and where it has these contours. Some homes simply have a staircase that wraps around. Others, with more of an L-shape, have a landing in between that forms a 90-degree angle. The curve, too, can involve intermediate places for getting on and off. Custom lifts are created to accommodate curves between 90 and 180 degrees, as well as multiple types of stair configurations. Before the product is fabricated and installed, a surveyor comes to your property to measure the potential location – the length for the track, the angles it must accommodate, and any other notable qualities needed to create a precise fit. 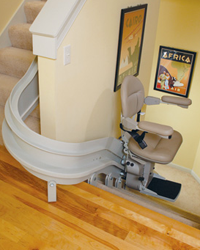 Be aware that getting a custom stair lift created and installed into your home is a length process. The solution is never instant, and you’ll need to wait a few weeks for the manufacturer to build the model and then add it to your property. 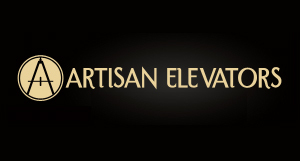 Interested in a custom stair lift? Explore your options by contacting Indy Stair Lifts about our services.